The problem with weblogs is that either they are small and remain small, in which case a wordpress installation on a webhost or self-hosted server will work perfectly fine. Its no fun for the poor administrator whose hard work and dedication gets him sleepless nights and server meltdowns. It’s no coincidence that all of the top blogs are hosted on cloud infrastructure because its the only way to go. In a perfect world (of much more money than we have), then we’d host CA on our own private cloud infrastructure and then we could do what we want with the blog software. But as it is, being hosted on wordpress.com produces limitations in terms of the presentation of the blog and the types of facilities (widgets) that we are able to provide. But its a small price to pay for a good nights sleep. Believe me. I get questions like the above on a regular basis, so I thought I’d just write it all down on a page and alter it as CA alters over time. 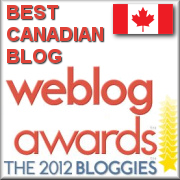 We use WordPress as the blogging software. I’ve evaluated a lot of different software including Moveable Type (used by RealClimate) and blogger but I find that WordPress is the best of the bunch for a general purpose weblog. WordPress is ideal where you need more than just basic functionality in a blog. It’s flexible, easy-to-install and use, and very extensible in terms of both themes (the look of the site) and plug-ins (for extra functionality). If you just want to testdrive WordPress without paying any money, then register at WordPress.com and you will be able to have most of the features that CA enjoys. You get a choice of some nice themes and there are some useful facilities that you can add to your blog, but you can’t choose or modify the themes given you beyond altering the colours. It does give a basic feel for how WordPress works, and if you’re an occasional blogger, then this is maybe all you’ll need in a blog. WordPress requires php (which is a very popular scripting language) and MySQL (a database engine that stores all the posts and comments), so these must be available from your webhosting provider. Rare is the webhost/web provider that does not supply an entry package or three for blogging purposes nowadays. CA is currently hosted by webserve.ca since Steve wanted a Canadian ISP in case of any legal ambiguities by rippleweb.com which has a large datacenter in Sacramento CA, but you can choose from any webhost or ISP that you want. I would recommend that you purchase a weblog package with an ISP in your home country, preferably local and one with a good reputation for reliability. In webhosting, as in the rest of life, you get what you pay for. In order to run WordPress, the webhost must provide php and MySQL. Since you will probably want to install WordPress and extra files, themes and plug-ins yourself, then the webhost should provide secure FTP access as well. The most important part for a weblog package is disk space, so beware looking at just the entry-level package unless it already comes with at least 500MB of disk space. CA may be an extreme example, but we did find that the entry-level disk space was used up within months, and we only found out what the problem was after the blog had fallen over (I think webhosts know this). Auto Hyperlink URLs – automatically hyperlinks URLs in posts by authors. Comment License – adds a short message on rules for postidng comments on CA. WP Paypal Widget – allows a tipjar for readers to contribute to CA. Google XML Roadmaps – allows Google, Yahoo, MSN etc to quickly spider the site while avoid those areas you want them to avoid. Recent Comments Widget – adds a list of the most frequent comments posted to your blog. They are gathered in descending order (newest at the top), but then group them together by post title, so that comments from the same post are listed together. The list items will be links to the comments, and will contain the name of the commenter. LMB^Comment quicktags – produces a toolbar for commenters to format their text. WP-Cache – caches posts and pages so that they don’t use webserver memory or database engine requests every time. WP Paypal Donate Widget – enables the CA Tip Jar for payments through Paypal. WordPress.com Stats – produces useful stats for the blog which are stored by wordpress.com and not us. WP-phpmyadmin – allows access to phpmydmin from within WordPress admin. Additionally I have configured two generic text widgets to do Google Search and Google AdSense functionality. The code within the widgets is supplied by Google when you register for Adsense. We will see which, if either, renders in comments. The result is that HTML/XHTML works, and UBBC does not. The general difference is that UBBC codes are preceded by [ and ended by ], but HTML/XHTML is preceded by < (less than symbol) and ended by > (greater than symbol). By the way, I can’t find a “Preview” function under “Post a Comment. None of these comments are criticisms, just suggestions. Hey – get this thing working I need to hear more about the warmth you have created. Testing sub and sup codes that failed in a previous post of mine. Admin, please delete if sub and sup work. But I’m not sure if it’s a decade in which I shall be participating on ClimateAudit a lot. Apart from it being much quicker than the old system, everything else seems worse to me. * I have a 1024-pixel width screen, and the top of many articles is now unreadable as the left sidebar enroaches across it. * The use of subthreads within articles makes it harder to come along and browse at the recent action. * The organization of recent comment links now gives precedence to date/time, rather than the old method which seemed to be up to 5 links for each article, so articles with low but positive response rates could remain visible. I may now have to bookmark articles because I can’t rely on them remaining accessible at the right sidebar. * I preferred the old style straight numbering system, but that’s just a WIBNI. I note that WUWT does not seem to suffer from the same problems, so I would guess that they can be fixed, with some effort. Until then, that is probably where I shall graze, with an occasional look-in here. Steve: I dislike the threading as well. And you’re right that Anthony has turned this off and so we should be able to as well. P.P.S. My son’s laptop has 1280-pixel width and Firefox, and I’ve tried out the CA Assistant on it. So I may have to start bumping him off it in order to browse CA! Steve, thanks for your comment re the threading. * The organization of recent comment links now gives precedence to date/time, rather than the old method which seemed to be up to 5 links for each article, so articles with low but positive response rates could remain visible. it was not under the Recent Comments, so not that many people will have read it, especially in the UK where it is night time now. Just for the sake of argument, let’s assume the Earth surface temp did rise 0.5° C Dry Bulb. If the wet bulb temperature remained the same, the HEAT (J/gm dry air or BTU/LB dry air) DID NOT RISE. In other words, no heat was added. Only the sensible heat rose, the latent heat fell. Sensible heat + latent heat = total enthalpy of the air. Voila – no warming. As I understand it, the hoopla over rising temperatures is a concern for heat. Knowing only the dry bulb temperature (alone) does not indicate there is any more HEAT at the Earth’s surface. I have posted this at website after website and no one acknowledges the significance of this. Am I all alone in this universe? 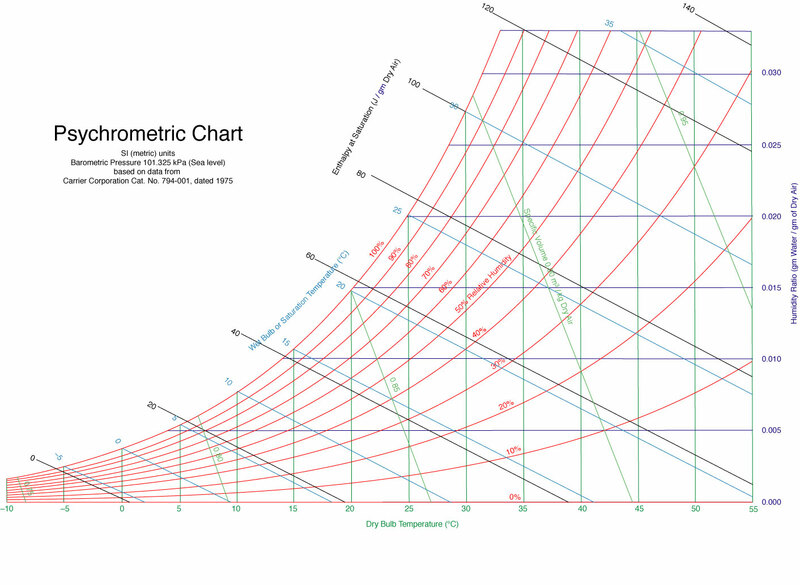 Here is a link to a metric version of a psychrometric chart at Wikopedia. The lack of attention to the psychrometrics of this is making me nuts!!! There has got to be people smarter than me that recognize this. Any plans to implement a “Preview” function by the “Post Comment” Button? My heretofore faithful Motorola Razr V3m finally died and been replaced with a Moto X “smart” phone. Although via Chrome it can display Lucia’s Blackboard, alas, not Climate Audit. I cannot reduce the size of that the X displays enough to navigate the site . thanks. there had to be something I wasn’t grasping. BAYKUŞ Konferans Koltukları Her koltuğu hammadde safhasında alır ve üretir. Tiyatro koltuğu, sinema koltuğu, stadyum koltuğu, teleskopik tribün, poliüretan koltuk, ofis koltuğu, sekreter koltuğu, form sandalye, ev sineması koltuğu, özel koltuk, poliüretan koltuk üreticisidir. Seats, chairs, movable systems, Seat Manufacture and installation‎ service.